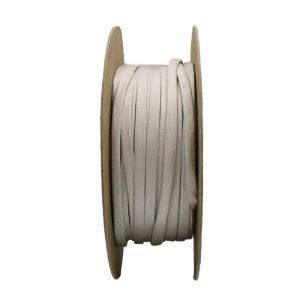 Select Size 24 AWG 22 AWG 20 AWG 18 AWG 17 AWG 16 AWG 15 AWG 14 AWG 13 AWG 12 AWG 11 AWG 10 AWG 9 AWG 8 AWG 7 AWG 6 AWG 5 AWG 4 AWG 3 AWG 2 AWG 1 AWG 0 AWG 3/8" 7/16" 1/2" 5/8" 3/4" 7/8" 1"
Tightly braided fiberglass sleeve completely coated with silicone resin to provide superior electrical and thermal protection. Dielectric Grade B: 4000V minimum average breakdown, 2500V minimum individual. The coating maintains its electrical integrity - even under severe fire conditions - by forming a non-conductive ash. 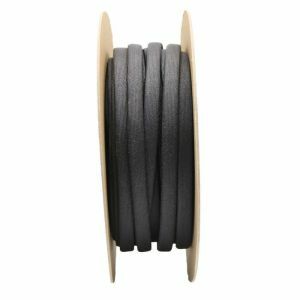 24 AWG 500 FT/SPOOL BSSILB-024G 0.022"
22 AWG 500 FT/SPOOL BSSILB-022G 0.027"
20 AWG 500 FT/SPOOL BSSILB-020G 0.034"
18 AWG 500 FT/SPOOL BSSILB-018G 0.042"
17 AWG 500 FT/SPOOL BSSILB-017G 0.047"
16 AWG 500 FT/SPOOL BSSILB-016G 0.053"
15 AWG 500 FT/SPOOL BSSILB-015G 0.059"
14 AWG 500 FT/SPOOL BSSILB-014G 0.066"
13 AWG 500 FT/SPOOL BSSILB-013G 0.076"
12 AWG 250 FT/SPOOL BSSILB-012G 0.085"
11 AWG 250 FT/SPOOL BSSILB-011G 0.095"
10 AWG 250 FT/SPOOL BSSILB-010G 0.106"
9 AWG 250 FT/SPOOL BSSILB-009G 0.118"
8 AWG 250 FT/SPOOL BSSILB-008G 0.133"
7 AWG 250 FT/SPOOL BSSILB-007G 0.148"
6 AWG 250 FT/SPOOL BSSILB-006G 0.166"
5 AWG 250 FT/SPOOL BSSILB-005G 0.186"
4 AWG 250 FT/SPOOL BSSILB-004G 0.208"
3 AWG 250 FT/SPOOL BSSILB-003G 0.234"
2 AWG 250 FT/SPOOL BSSILB-002G 0.263"
1 AWG 100 FT/SPOOL BSSILB-001G 0.294"
0 AWG 100 FT/SPOOL BSSILB-000G 0.33"
3/8" 100 FT/SPOOL BSSILB-0375 0.387"
7/16" 100 FT/SPOOL BSSILB-0465 0.387"
1/2" 100 FT/SPOOL BSSILB-050 0.512"
5/8" 100 FT/SPOOL BSSILB-0625 0.64"
3/4" 100 FT/SPOOL BSSILB-075 0.786"
7/8" 100 FT/SPOOL BSSILB-0875 0.893"
1" 100 FT/SPOOL BSSILB-100 1.018"
Silicone coated fiberglass braided wire protection sleeve is used for insulation of leads and connections in electrical and electronic components ( transformers, coils, relays, solenoids etc.) where temperature range from –70°C through 200°C are encountered. Our sleeves are UL/NEMA Thermal Class H and CSA rated. 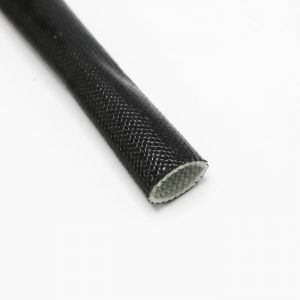 Our A grade tightly braided fiberglass sleeve completely coated with silicone resin provider superior electrical and thermal protection which makes them a high quality equivalent to Ben-Har 1151-XL200A, Varflo sleeving, Hilec Turbo 117F, Hilec Vol-Sil Grade A, Alpha Wire PIF-200. 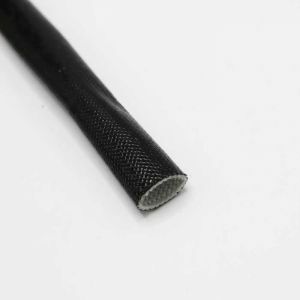 Silicone rubber coated glass sleeving is the only flexible insulating material which remains useful for continuous service in ambient temperatures from -70°C through +200°C as the coating maintains its electrical integrity even under severe fire conditions by forming a non-conductive ash.